IMPORTANT NOTE: Spiral cut stamping is done freehand and your holster may not exactly match the pictures you see on this site. 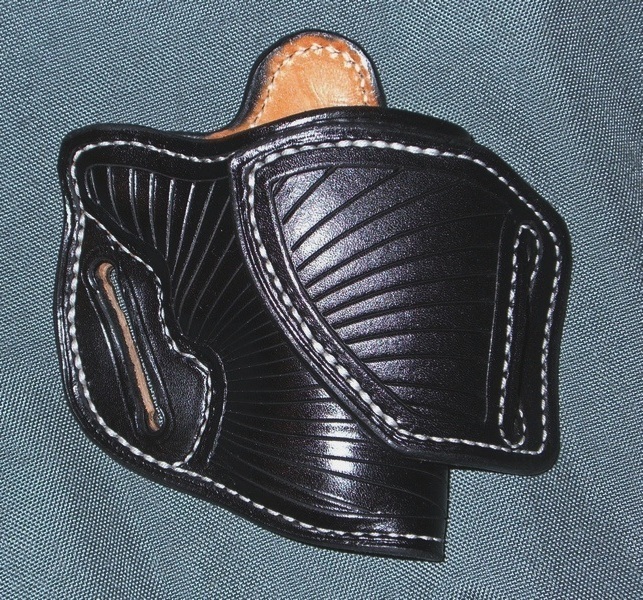 Tucker creates each holster with Spiral cut as one of a kind. Each holster is an original.